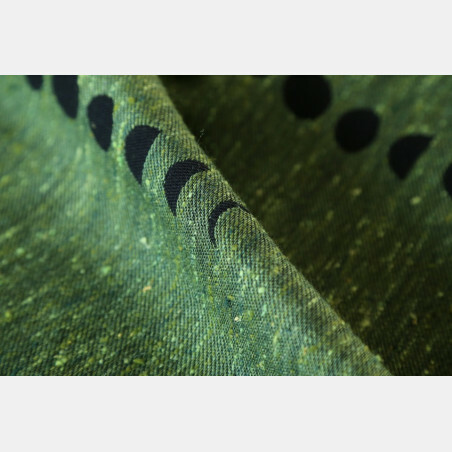 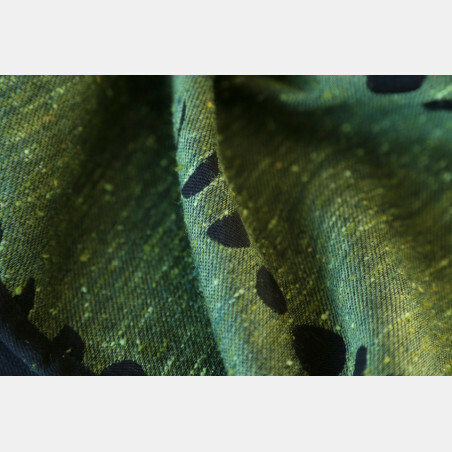 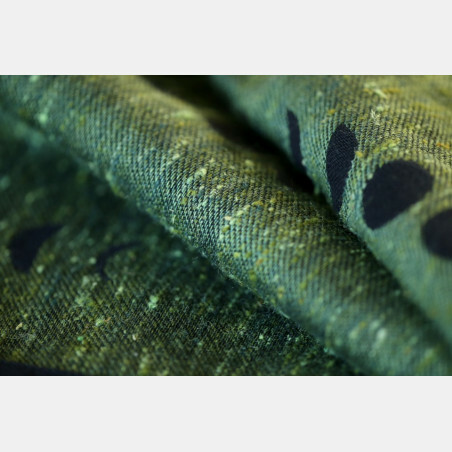 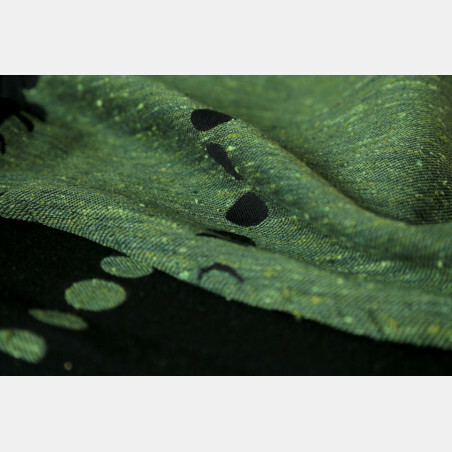 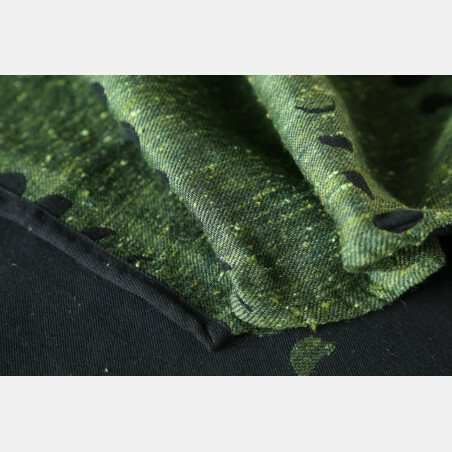 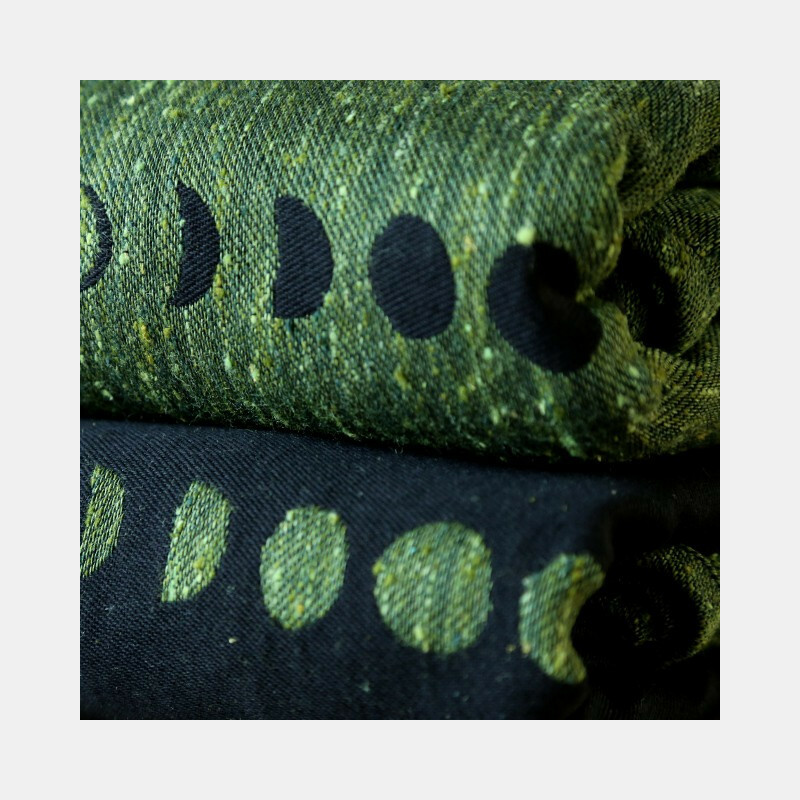 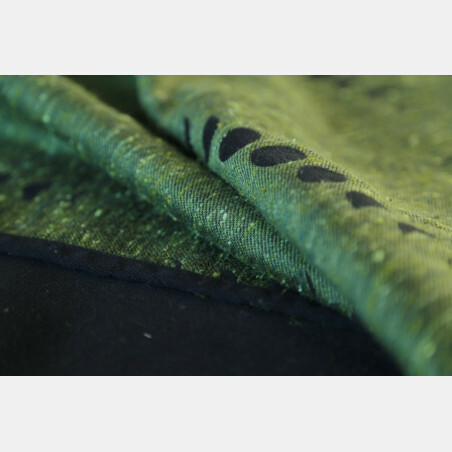 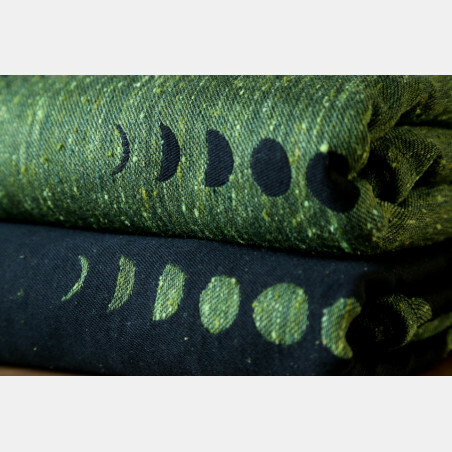 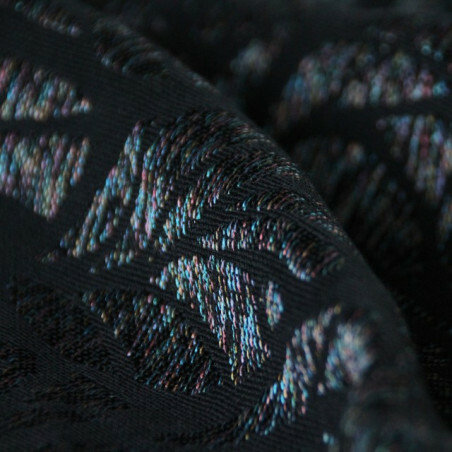 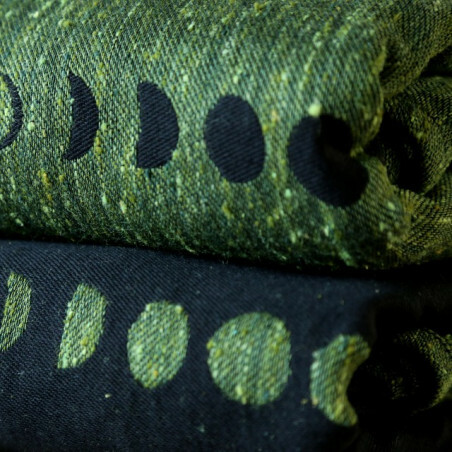 Enchanting moss green tussah with nubs and slubs in darker and lighter green on black. 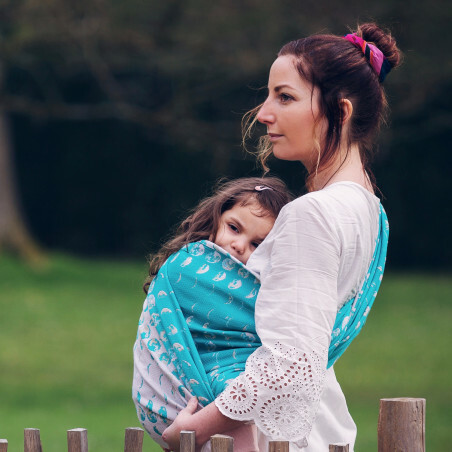 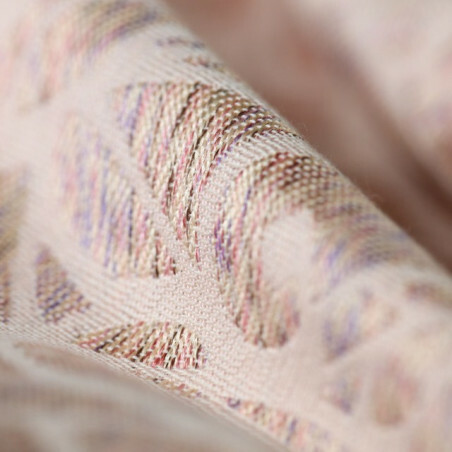 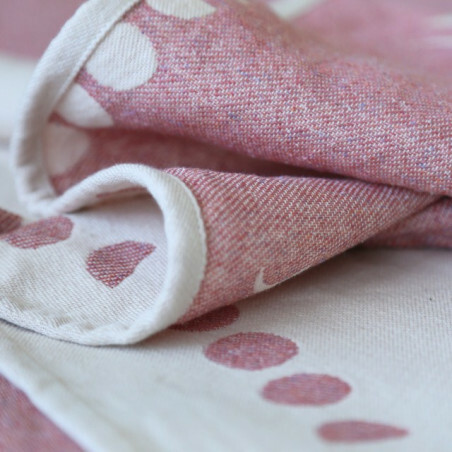 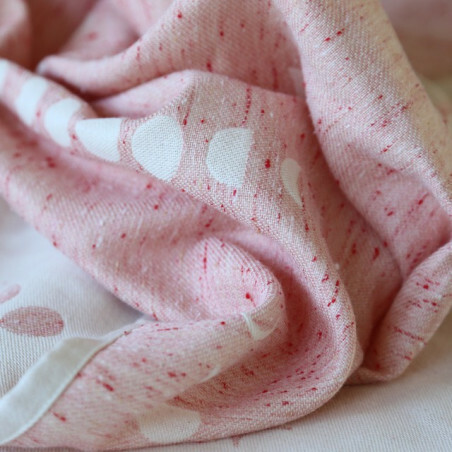 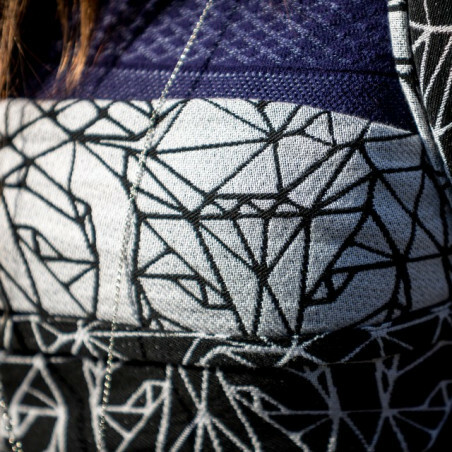 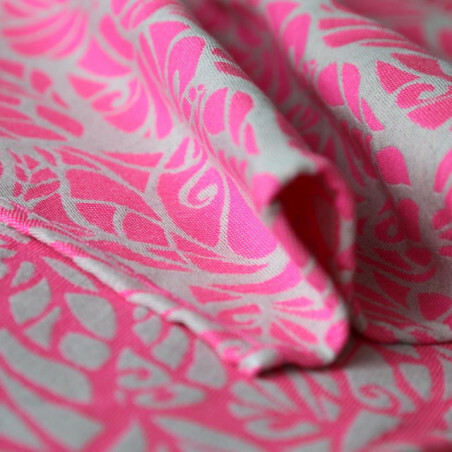 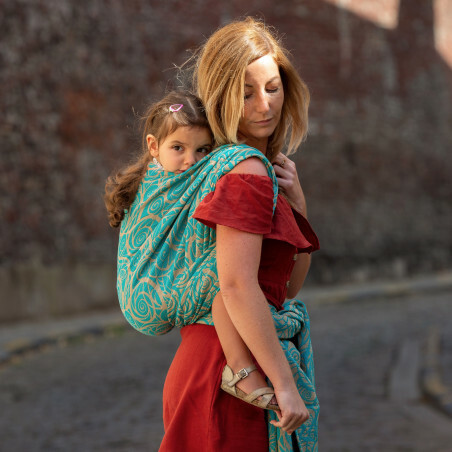 Woven in our signature raspberry weave, this wrap requires minimum breaking in effort. 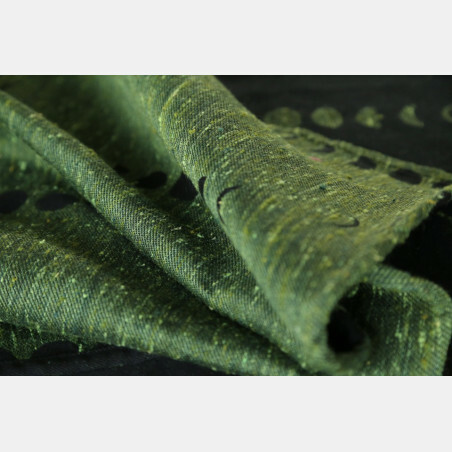 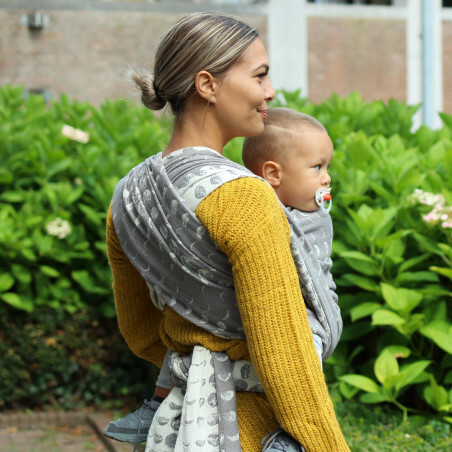 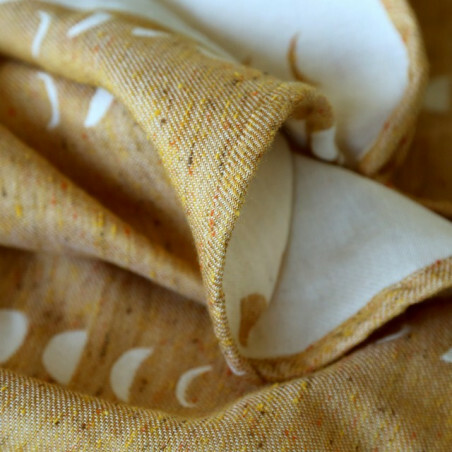 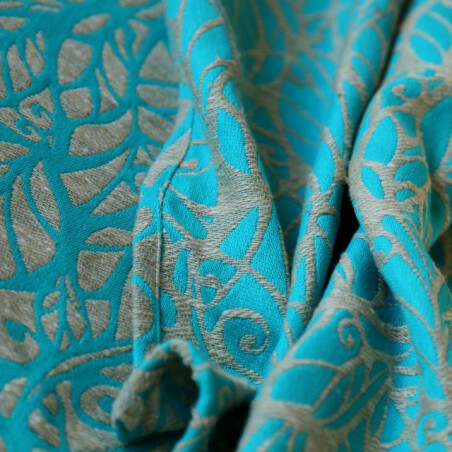 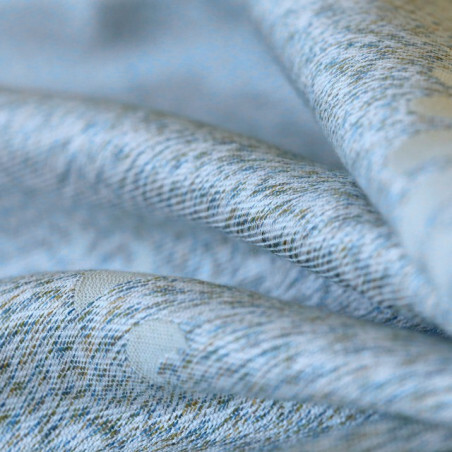 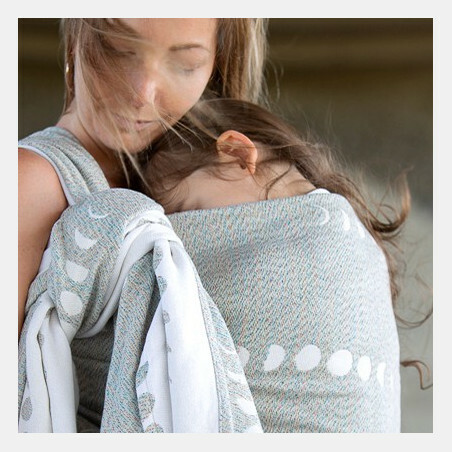 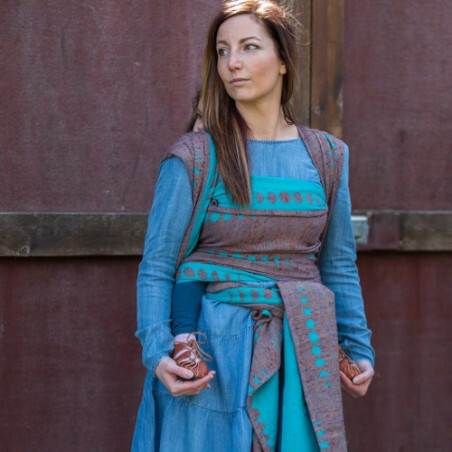 Tussah silk turns into a kitten belly soft goodness while keeping your wrap job in place for many hours. 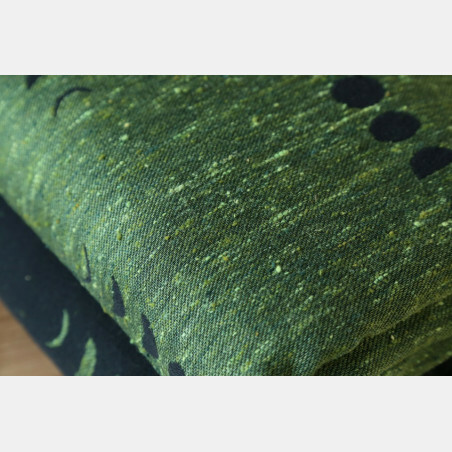 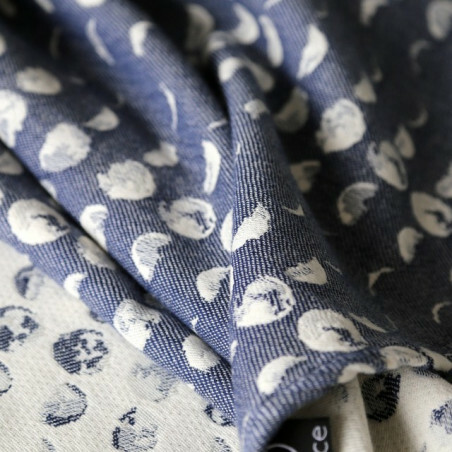 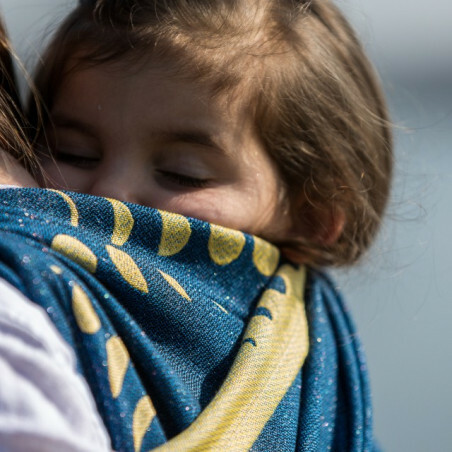 Phases Moss is suitable for all; it is soft enough for newborns and supportive enough for toddlers.